Spicy and tangy ground chicken dish. Great for a light entrée or fun appetizer. Heat oil in wok. Stir fry garlic and bird’s eye chili until fragrant. Add galangal and stir until fragrant. Stir in ground chicken and green beans and mix well in wok. Stir in shallots, basil leaves, fish sauce, Knorr® Caldo de Pollo, and kefir lime leaves. Stir fry until chicken is cooked through. 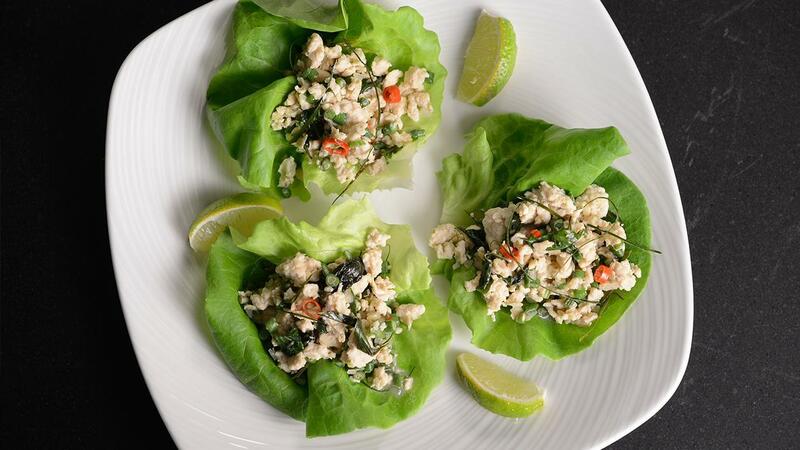 Serve in Boston lettuce cups with lime wedges.